Make sure you’ve got power when you need it. Whether you need power while you’re on the boat, at the batch for the weekend, or as a reliable backup power supply for blackouts. 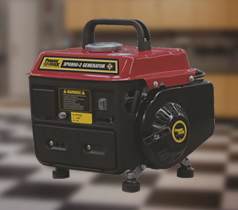 Powermax’s range of generators are built to take on the situations you’ll face. 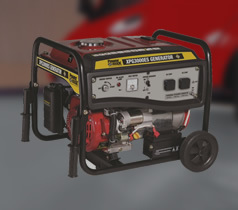 Powermax has matched their models to suit the tasks that you do most. From 2800W to boil your jug to a 9000W to run your field event Powermax have you covered. 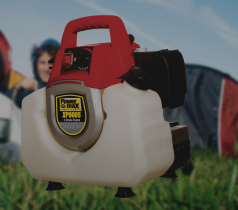 Powermax have studied the lifestyles and conditions in NZ and designed generators portable and versatile to suit the way of life that we live and love. 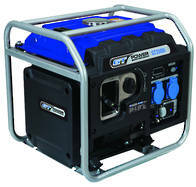 Powermax builds generators tough, with robust designs and heavy duty welded frames to withstand the rugged life and remote conditions that Kiwi's endure. 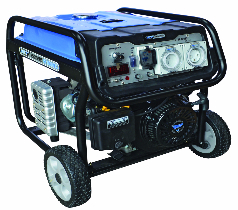 The GT3500i is the ideal generator for the demanding needs of the construction site or your house in an emergency. 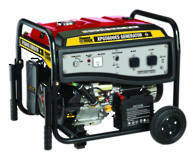 When you need power most Powermax generators are your first choice. New Zealand is growing at a fast rate with construction sites popping up on every corner. Powermax is there, bringing you reliable power to keep you up with the boom times. Powermax is not just for the good times though. There is no need for you to be caught out when the next natural disaster strikes. 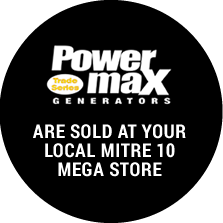 Powermax, exclusive to Mitre 10, ensures you are not left in the dark - or be a prudent Kiwi and get your Powermax generator now to ensure your safety and peace of mind for years to come. 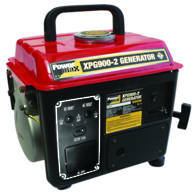 GET HELP USING AND CHOOSING A POWERMAX GENERATOR? Website Designed by Zeald © Copyright 2016 Powermax. All rights reserved.